Around 250 nurses at the Royal Liverpool and Broadgreen University Hospitals NHS Trust have completed the organisation’s new training programme that reinforces their care and compassion. The trust launched the training programme for all 1,780 of its nurses to undertake. The programme involves a one-day study training session and the completion of a work-based portfolio to formally acknowledge their existing skills and ensure high standards of compassionate care. Nurses who complete the competency training, which is accredited by the University of Liverpool and is the first of its kind in the region, develop a portfolio of their skills and competencies that documents their training and career development. The portfolio will help nurses to deliver on the requirements of the Nursing and Midwifery Council's new model of revalidation, which is due to launch in October this year. 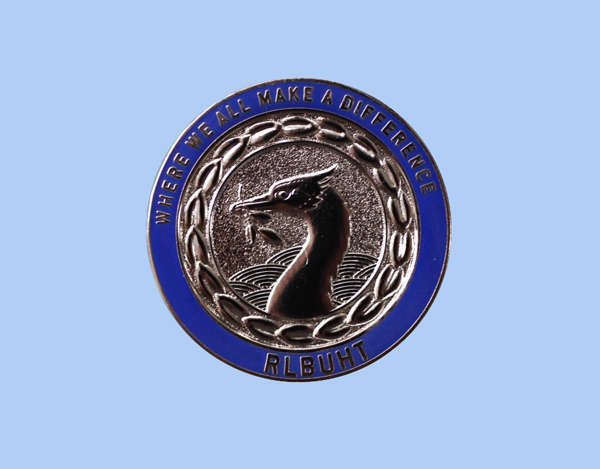 On completion, nurses are invited to a graduation ceremony where they are presented with a specially designed silver badge – with a symbolic Liverpool Liver bird at the centre – to acknowledge their training. Trust chief nurse Lisa Grant said she wanted to bring back the silver badges that nurses were presented with when they completed their training at the organisation in the 1960s to instil pride among the nursing profession. ‘Our nurse programme provides further assurance to our patients and local people that we have a nursing workforce that puts patients at the heart of everything we do. Our nurses are passionate about their profession and we want to support them in delivering the highest standard of care on a daily basis, while also giving them a means of celebrating their hard work. The programme also includes training specific to individual specialties to develop and maintain specialist competencies.